Get ready to indulge your sweet tooth!! MMM this is so good! I love pancakes for breakfast and sometimes like them to be healthy, but most of the time I like them to be a delicious breakfast treat which is exactly what this is! It is perfect for holidays like Valentine’s day, Christmas, a birthday, you name it! 1. Soften your cream cheese and butter. 2. Mix with the powdered sugar and cinnamon. 3. 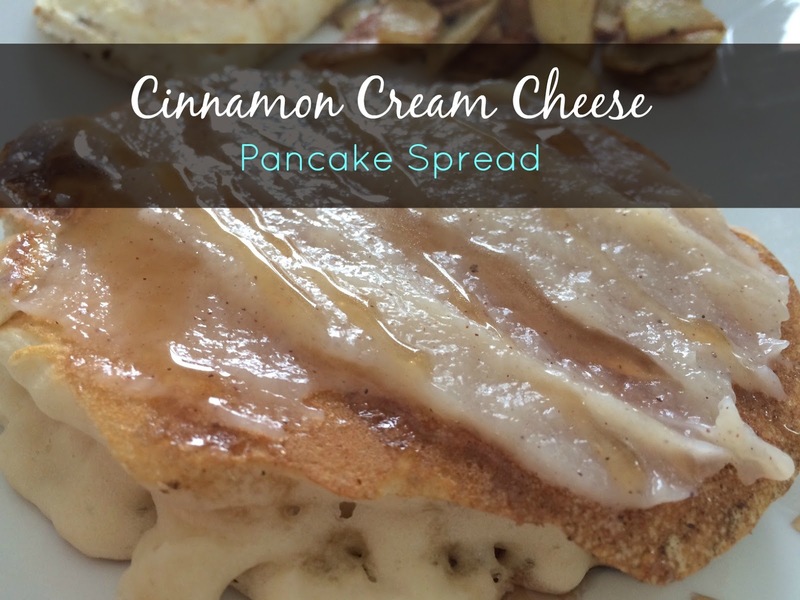 Spread on your pancakes and drizzle with a little syrup! This looks so good and easy enough for me to actually make! My kids would love this!